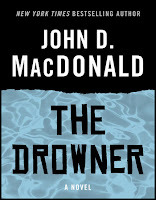 John D. MacDonald's "The Deep End" (1964). A woman taking a swim ends up dead, and a PI (Clu Gulager) questions the conclusion of accidental drowning or suicide. 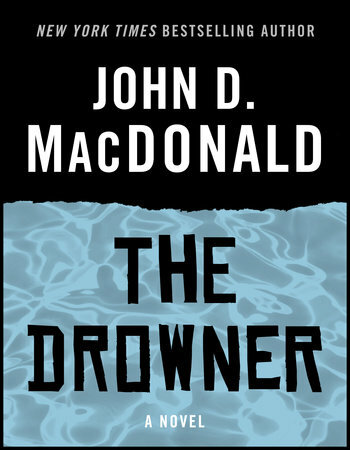 The source for this 1964 episode of Kraft Suspense Theatre, although the credits merely state "based on a book by John P. [sic] MacDonald," is likely The Drowner by John D. MacDonald (Cosmopolitan Jan. 1963; novel 1963). Aldo Ray, Ellen Burstyn, Tina Louise, and Whit Bissell costar. The music for the episode is by John Williams. Robert Lesser collection of pulp art, NBMAA. The Robert Lesser Collection of 200 pieces of pulp art, housed at the New Britain Museum of American Art, can now be viewed online. 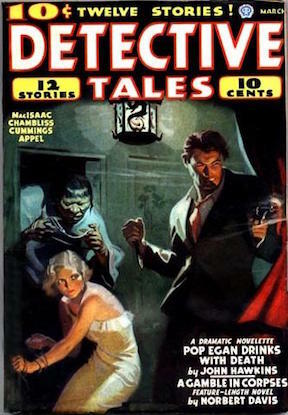 Pieces include artworks for Amazing Stories, Argosy, Detective Short Stories, Detective Tales, Dime Mystery Magazine, Doc Savage, Mystery Tales, The Shadow, Spicy Mystery, Weird Tales, and Wonder Stories. British actor Peter Wyngarde died on January 15 at age 90. Survivor of a Japanese internment camp in World War II and well remembered for his chilling portrayal of Quint in The Innocents (a 1961 Truman Capote/John Mortimer adaptation of Henry James's "The Turn of the Screw"), he was a familiar presence on 1960s TV in such programs as The Avengers, Department S, I Spy, The Prisoner, Rupert of Hentzau, and The Saint. 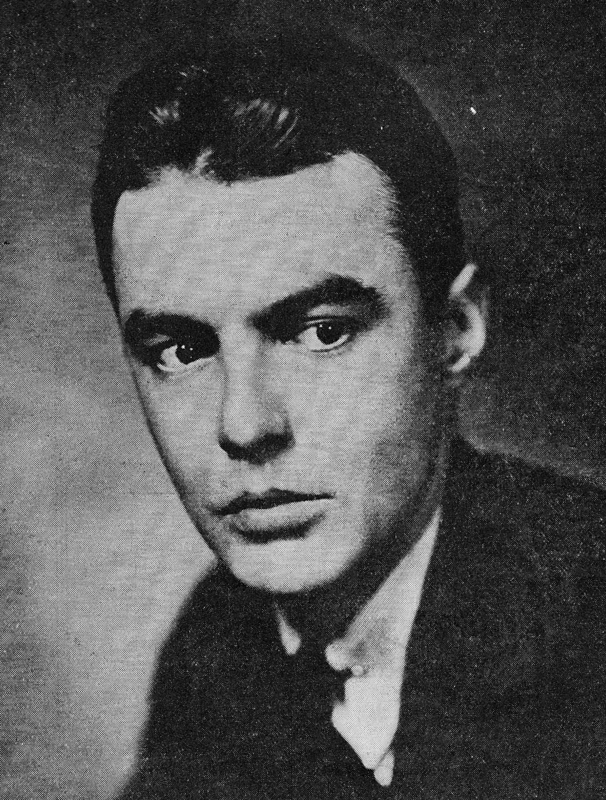 He also appeared as an artist obsessed by an unknown woman in the One Step Beyond episode "Nightmare." Raymond Burr talks about Perry Mason (1959). 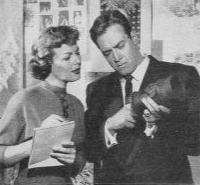 In this 1959 interview with CBC Radio, Raymond Burr talks about the busy schedule of the Perry Mason TV series and his feelings about his character. "I think [Perry Mason] is a many-faceted individual," says Burr. Praise for Cozzens's The Just and the Unjust (1942). 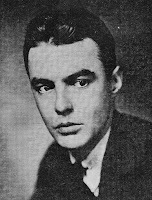 In "Children into Men: Lawyers and the Law in Three Novels" (The Catholic Lawyer, Oct 2017), New Jersey attorney Gregory J. Sullivan admires the Haycraft-Queen Cornerstone novel The Just and the Unjust by Pulitzer Prize recipient James Gould Cozzens (1903–78): "Cozzens' affirmation of the judicial process depicted with a keen eye as to its flaws is compelling because the novel is not measuring the criminal trial—and by extension the law in general—against an impossible utopian ideal" (35). Further reading: my positive take on The Just and the Unjust. The Saint's Girl Friday (1953). In The Saint's Girl Friday, Louis Hayward steps into the shoes of Leslie Charteris's Simon Templar (aka The Saint) as he takes on a gambling ring that caused the death of a socialite who had requested his help. Diana Dors costars. Essays wanted for Longmire collection. 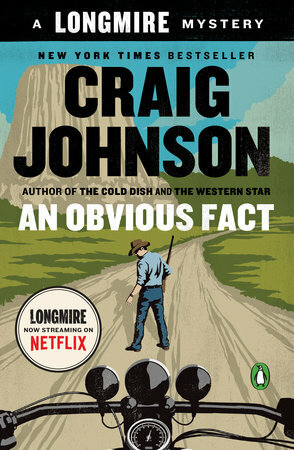 Clues editorial board member Rachel Schaffer seeks a few more essays for her edited collection on Walt Longmire (both the TV series and books by Craig Johnson) to be published by McFarland. Visit the MSU Billings English department Web site for Schaffer's email address. 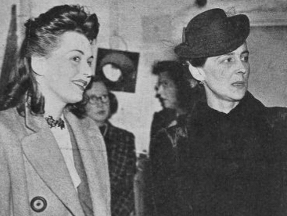 Three Steps in the Dark (1953). In Three Steps in the Dark, an elderly man announces to his relatives that he intends to change his will, but he is murdered before he can do so. His mystery-writer niece (Greta Gynt) investigates. Exhibition on pulp illustrator Gloria Stoll Karn. The Norman Rockwell Museum in Stockbridge, MA, is featuring the exhibition "Gloria Stoll Karn: Pulp Romance" from February 10 to June 10, 2018. 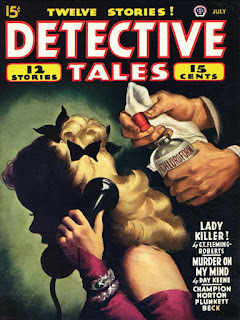 Karn, now 94, was one of the few female illustrators for pulp magazines in the 1940s. Remembering Sue Grafton: Sparkling Cyanide (1983). Before Sue Grafton, who died December 28 at age 77, turned to writing mysteries, she was a screenwriter. One of her credits was a 1983 TV movie of Agatha Christie's Sparkling Cyanide, starring Anthony Andrews and Deborah Raffin. Upcoming Newberry seminar on Christie. 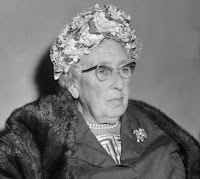 The seminar "Agatha Christie and the Golden Age of Detective Fiction" will be held at Chicago's Newberry Library on April 14, 2018. Taught by Northwestern University's Elzbieta Foeller-Pituch, it will "discuss representative works of the 1920s and '30s featuring [Christie's] major sleuths, Hercule Poirot and Miss Marple" and ways that Christie handles the conventions of the mystery genre. 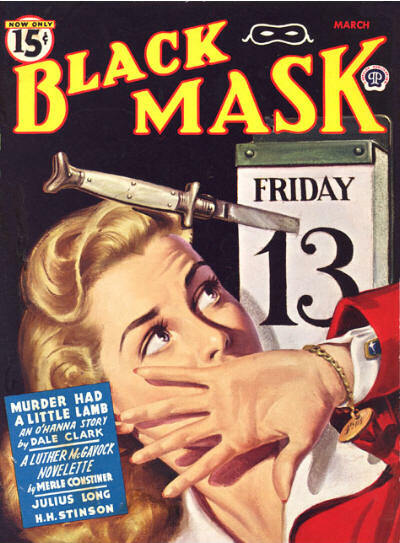 The works listed for discussion are Murder on the Orient Express, Philomel Cottage, and The Thirteen Problems. Remembering Peter Wyngarde: "Nightmare" (1961).